Yesterday I discussed the importance of transcribing receipts. Today I’m transcribing the grave markers for my ancestors to Find-A-Grave. I have been a contributor to Find-A-Grave for the past four years. I have traveled to my ancestors cemeteries, taken photographs and sadly there they sit on my computer. I do have them filed in both the cemetery folder and to the appropriate surname folder. I did not however, transcribe them to Find-A-Grave. In the past four years I have taken photographs for other people via Find-A-Grave requests. I usually gave them the rights to the image to add to their family memorial. 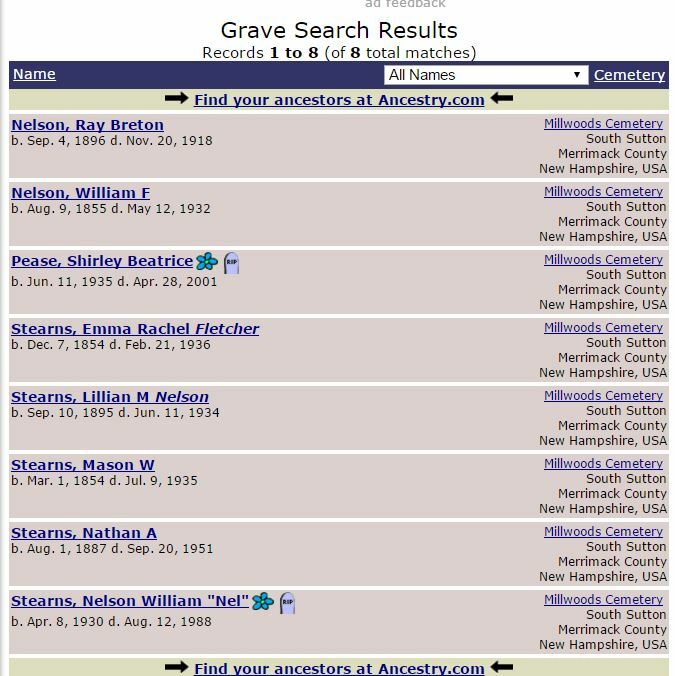 I did add my own parents and brothers grave marker. My goal from now on is to try to transcribe at least one grave marker a week to Find-A-Grave. I feel that is a reasonable and doable task for me. This morning I followed my advice. I transcribed the first photo, then the second, then, you get the idea. I followed a BSO ( a bright shiny object, as Thomas MacEntee calls them.) I added the transcriptions, photographs, wrote bio’s, notes and linked them to other family members. Here are the ones I was working on today. I also sent request linking my ancestors to their spouse or parents to memorials that another Find-A-Grave volunteers are managing. I must pace myself going forward, to one a week for my own sanity in getting organized. The importance of transcribing those grave markers and adding photographs of them is so other “cousin lines’ and future generations can find where the are buried and maybe a little about who they were. Thank you,Dear Myrtle for getting me organized.